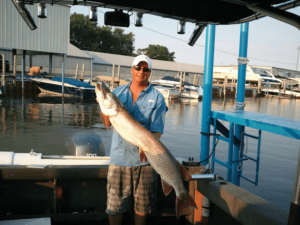 Lake St. Clair is a well known for its musky fishing. 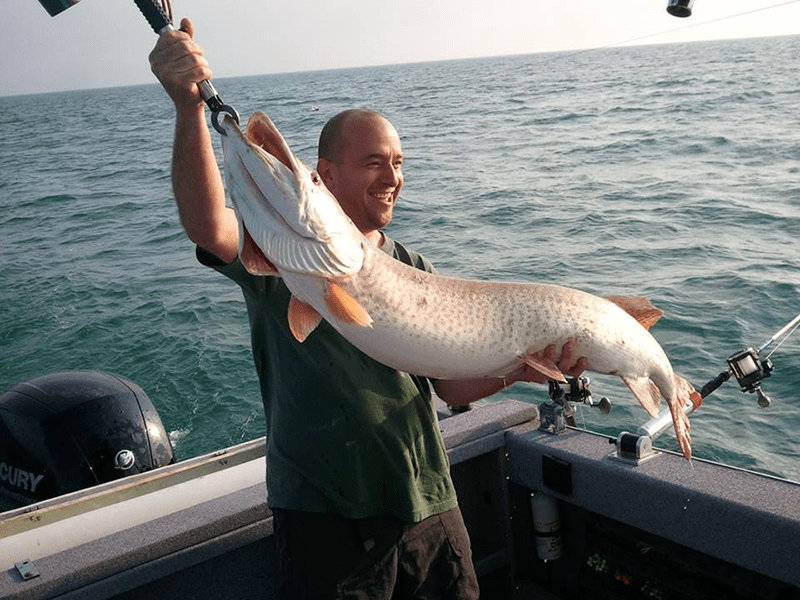 Year after year it produces some of the best musky fishing in the U.S, and it also happens to be Captain Kris Davis’s specialty. During the 2009 season our excursions produced over 300 musky and 2010 our efforts netted over 400, and the numbers continue to grow. We have never gotten skunked and have had many of the musky over 50″ or more. We run anywhere from 8 to 12 lines at a time, trolling with many different lure presentations. There is a live well onboard so we can keep these monster fish alive, this way we have plenty of time for taking pictures of them and can have a successful release. 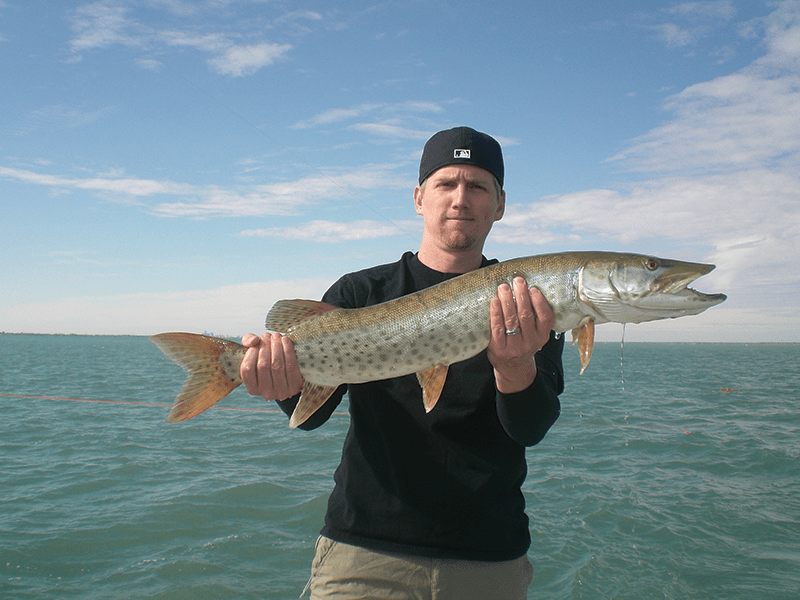 Musky fishing is best on the Canadian side of the lake most of the year. The season starts the first Saturday in June, where we will be fishing the American side from June through July. August 1st through the second week of November we will be fishing both American and Canadian side of the lake out Anglers Point Marina. * All Musky fishing trips are for up to four (4) people. 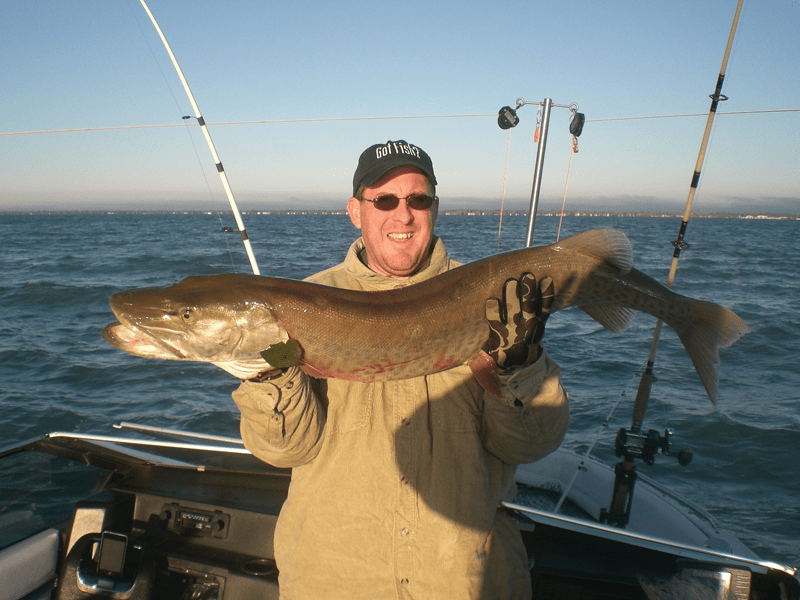 To book your Musky Fishing trip, call Captain Kris Davis at (586) 260-0010 or email lakesidecharters1@gmail.com.